Anyway, I arrived safely on Miri International Airport about 14.45. I was planning to catch a Miri-BSB bus with fuzzy-IDK-whether-it’s-still-operating-or-not information obtained from tripadvisor and wiki travel. The bus was supposedly going twice daily, 8.00 and 16.00 from the express/ long bus terminal. Should be enough time to catch the 16.00 one, I guessed. (DON’T TRY THIS PLAN IT WORKED BUT THE AMOUNT OF HEART SPORT I EXPERIENCED. If something went wrong in the plan, anything would fall apart) With customs, I went out of airport about 15.00+ which was tight in time to catch 16.00 bus (I was afraid that it’s 15.45 like some people mentioned). Seems like there’s no public transport and looking at the time, so taxi would be it, a.k.a. a dent in my thrifty plan. The taxi will only have fixed price from the airport. I forget how much, It seemed that it’s about 20 MYR for Pujut (This said 22, not mine). There are two bus stations in Miri. The one with the Miri-BSB bus (Pujut Corner) is supposedly the one nearer to the airport (it should be cheaper if you can hire taxi outside). Seem like it’s not famous for locals, even the taxi driver wasn’t sure that it’s still in service and about the time, future seemed quite bleak. There! have enough time to catch it, I was prepared to be stranded in Miri and go to BSB on the next day. I had enough time to wait on the bus apparently (it’s 16.15), I spent the time reading and filing my custom cards). The bus went safely on time, this should be the end of the story, I had experienced enough. But! IT’S A MUST FOR INDONESIAN TO BRING 300 BND minimum to show the border officer. I really don’t bring BND in cash, I bring USD (AND THB, and MYR) though more than those amount. For real. I thought it’s a scam when the bus driver told me about it juuust after the bus went and offering me to borrow 300 BND for fee of 10 (BND? Ringgit? Forget. I remember it’s about USD 9/ IDR 100000 in value). 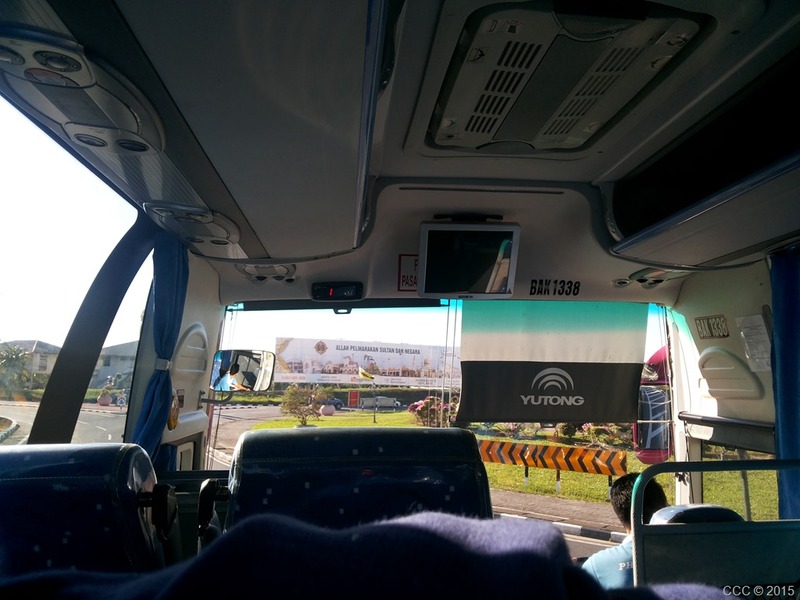 Anyway, other than that highlight, one of the things I noted is that the bus has to be changed in the border, so we moved the luggage to the next bus. Be careful to make sure that nothing’s left in the previous bus. Also there’s a luggage check on the border as well, I just shown that my bag’s just clothes to the lady police. After that, the travel went smooth and nice, arrived in BSB about Isha time (19.30) in the last stop is BSB, Waterfront Jalan McArthur, near Maybank. You could ask to stop in either Kuala Berait, Suria, ir Tutong. I remember that I was undeced whether to stop in Tutong because my acquintance live there, but in the end I went to BSB. Bus operator is PHLS Express which can be contacted via BorneoExploreGree at +6732236738. Posted on August 16, 2015, in Travelling and tagged asean pass, asean trip, bandar seri begawan, brunei, bsb, bus, miri, travel. Bookmark the permalink. Leave a comment.